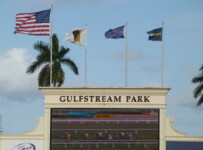 Gulfstream Park will begin a five-day stretch of racing on Thursday, ending with a special Memorial Day card on Monday. First post is 1:15 p.m. each day, unless otherwise noted. Thursday May 25 Gulfstream has a nine-race card. The main attraction is a carryover of $333,214.85 on the Rainbow 6. It will start with the fourth race with scheduled post of 2:53 p.m. The carryover is growing because Gulfstream has gone 17 racing days with multiple tickets that had all six winners in the Rainbow 6 races. Gulfstream pays out the jackpot (carryover plus 80 percent of the day’s Rainbow 6 bet) only on days when there is just one ticket with all six winners. HorseRacingFLA’s review of Equibase charts shows that the carryover is the largest thus far in the spring meet for the Rainbow 6—which is a 20-cent per combination only bet. Thursday will be the 36th day of the 59-day meet that began on April 5 and will end on June 30. If there are no scratches and no races taken off turf, there will be 57 starters in the Rainbow 6 races. That would be tied for the third most in this year’s spring meet. To go ALL in each leg of the Rainbow 6 would cost $145,800. It is unlikely that any betting syndicates would take that chance even if they could afford it. The payoff on a single winning ticket would be more than $400,000. But on a day with multiple winning tickets the payoff would be much less, and the ALL ticket would lose money. Over the last ten days, the average payoff on the Rainbow 6 has been $5,860. So, what we are no doubt seeing now is some “whale” bettors and teams going ALL or otherwise deep in several races and building tickets that cost several thousand dollars. Thursday’s featured eighth race is far from the best quality weekday feature you will find at Gulfstream. It is 1 1/16 miles on turf, and is a $16,000 optional claimer. It is for 3-year-olds and up that have started for a claiming price of $12,500 or less or for an optional claiming price of $16,000. This year at Gulfstream, four of the entrants have won a turf race at Thursday’s level or higher. They are Cut to Order, Major Key, Diaz and Perfect Tay. We will handicap that race on Thursday morning, as we begin a series of daily handicapping of the day’s feature at Gulfstream. The card has nine races. Bettors and other fans who follow 2-year-olds will be interested in the fourth race. It is a $50,000 maiden special weight at five furlongs on turf for 2-year-old fillies. We will have a preview on Friday morning. Gulfstream will have an 11-race card with two stakes races. The $100,000 Musical Romance is seven furlongs on dirt for Florida-bred fillies and mares 3-years-old and up. The $75,000 Christmas Past is 1 1/16 miles on turf for fillies and mares 3-years-old and up that have not won a stakes race in 2017. The Musical Romance is part of this year’s new FHBPA/Gulfstream Park Summer Stakes Series. The series has ten races, all with $100,000 purses. Funding for the series is being provided by the Florida Horsemen’s Benevolent & Protective Association and by Gulfsream. 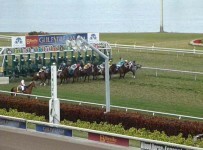 Six of the races are restricted to Florida breds. Four are Florida-preferred. They are open to horses from all states, with bonuses being paid to Florida-breds that finish in the top three. The feature is the $50,000 The Opening Lead, an overnight handicap for 3-year-olds and up at six furlongs on dirt. Gulfstream will not have racing on Wednesday May 31. It will have racing Thursday June 1 through Sunday June 4. It will have five days of racing from Wednesday June 7 to Sunday June 11. 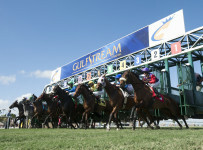 Starting June 15, Gulfstream will have four-day race weeks of Thursdays to Sundays through the end of its spring meet and throughout its summer meet from July 1 until Sept. 30.